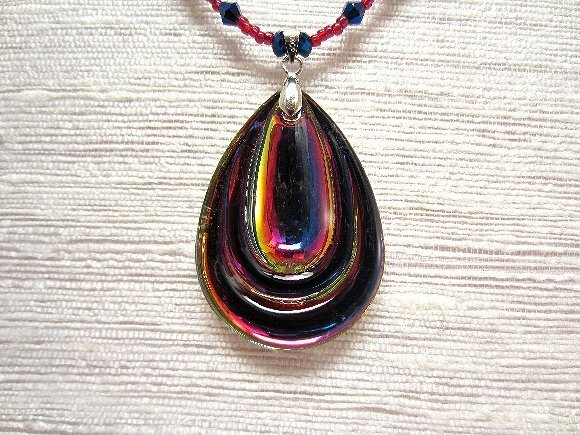 The molded glass teardrop pendant is made to imitate Swarovski Crystal's rarest of rare vintage color change effects, Vitrail Dark. 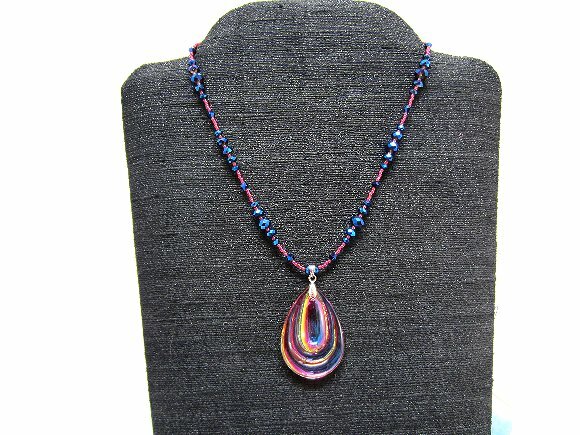 As the light plays over the beaded necklace, the pendant changes from fuchsia to gold, violet to midnight blue, with flashes of greens and turquoises. I've used a charming heart-motif silver plate toggle clasp to finish the 17-1/2" strand. The beaded necklace features faceted metallic midnight blue glass beads, spaced with fuchsia seed beads. 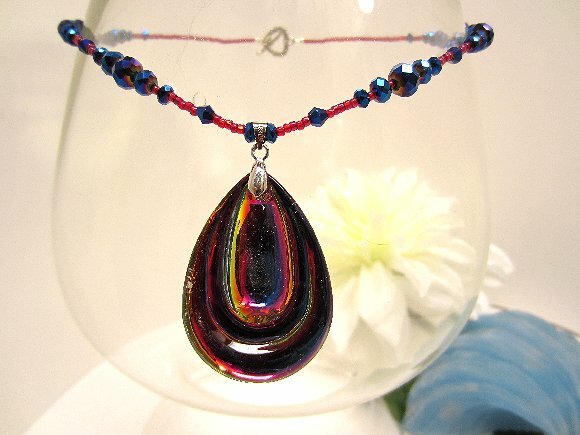 The pendant ends approximately 2" below the strand. 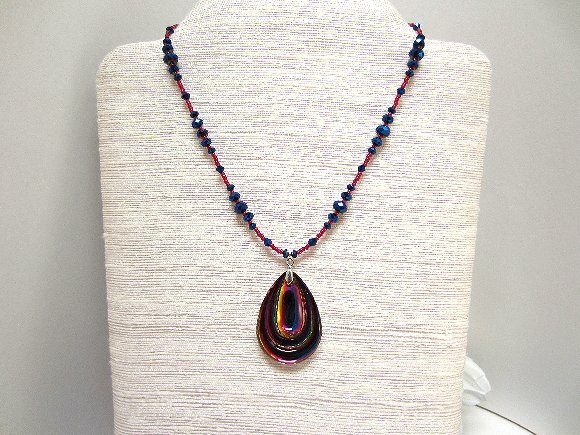 This is one beaded necklace that's fancy enough to wear to a party, but sober enough to wear to the office. 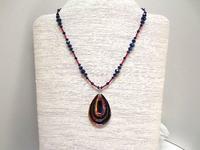 It's another versatile beaded necklace from SPARKLE PLENTY.